them half full and bake them. 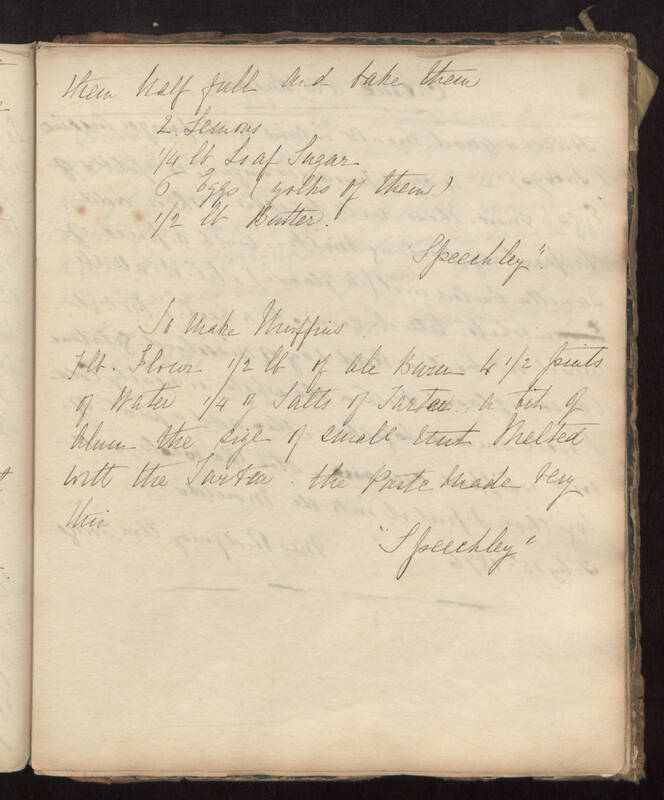 2 Lemons 1/4 lb Loaf Sugar 6 Eggs (yolks of them) 1/2 lb Butter "Speechley" To Make Muffins 1 lb Flour 1/2 lb of Ale [illegible] 4 1/2 pints of Water 1/4 oz Salts of Tartar, a bit of Alum the size of small [illegible] Melted with the Tartar. The Paste made very thin. "Speechley"